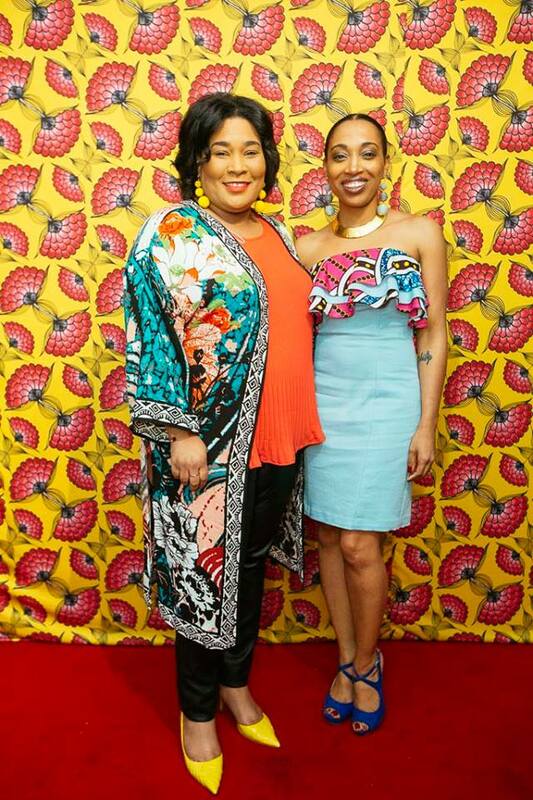 This past Friday evening, I and other members of Memphis Brooks Museum of Art, media and some of the city's influencers and tastemakers were invited to preview African Print Fashion Now! A Story of Taste, Globalization, and Style. There was much anticipation for this event and you could feel the energy and the memories created at such a joyous celebration of art and fashion in Memphis. African-Print Fashion Now! A Story of Taste, Globalization, and Style introduces visitors to a dynamic and diverse African dress tradition and the increasingly interconnected fashion worlds that it inhabits: "popular" African print styles created by local seamstresses and tailors across the continent; international runway fashions designed by Africa's newest generation of couturiers,; and transnational styles in Africa's urban centers. With an introductory display that features three contemporary ensembles, the exhibition then prceeds in four sections exploring the gloablal stories of these textiles, the diverse popular styles worn across the continent, studio based portrait photography, ground breaking runway fashion and transnational interpretations of African print. This is the first major museum exhibition to focus on fashions from the continent and diaspora that feature African print cloth. It is curated by Suzanne Gott with Kristyne Loughran, Betsy D. Quick and Leslie Rabine, both I met and totally fanned out. The exhibit debut at the Fowler Museum in spring 2017 traveled to Museum of Art and Design in New York and then Memphis. Tangie of Tanganika by Tangie used tulips as her source of inspiration to create a modern and scultptural gown and other pieces. The pop up show was styled and curated by Abby Phillips founder of Memphis Fashion Week and Memphis Fashion Design Network who did a phenomenal job featuring local designers Christina Harper-Westbrook of ROYALTY, Tangie McVay Seay of Tanganika by Tangie and Grace of Mbabazi House of Style. Each designer's style, use and expression of African print was unique and fashion forward. Christina Harper-Westbrook of Royalty used african print to design various styles for every woman. What a beautiful night for Memphis? I have been a member and active goer of the Brooks Museum and this was MEMPHIS!!! The Memphis I love to see. Diverse not just in race but in ethnic groups, age, class and industry disciplines. BEAUTIFUL!! I couldn't resist asking the gorgoeus party goers for a couple of photographs. One to remember, The African-Print Fashion Now! Opening was a celebration with entertainment by Siphne Aaye and Memphis Fashion Week Pop Up Show and stylish Memphians some dressed in African prints expressing their style paralleling with the garments from the showcases visually told the stores of the dynamic traditions of African dress featuring colorful, boldly patterned printed cloth. The tone of the evening was colorful, stimulating, inspiring, cultural and diverse. JUST like AFRICA!! I will not share every image from the exhibit now because I honestly feel like you MUST see this exhibition, AN ABSOLUTE MUST! The exhibition will be on display February 24-August 12 and there are so many curated events in association the exhibiton. I have the pleasure of guiding a tour March 14th and I would love to host you. 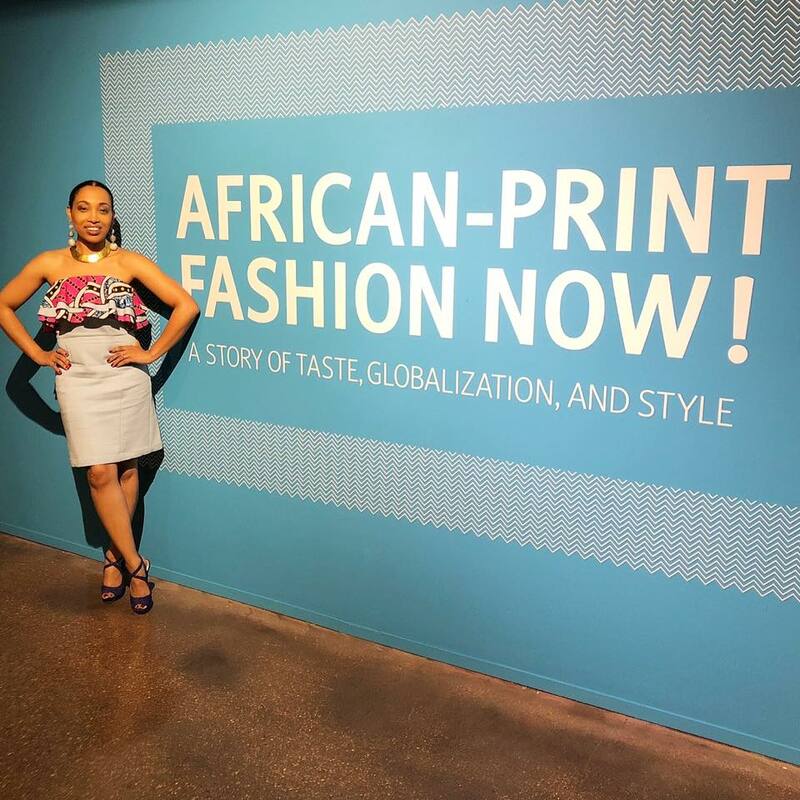 The Brooks Museum has diligently worked and planned an extensive calendar of events to celebrate African-Print Fashion Now! Download the calendar here! !